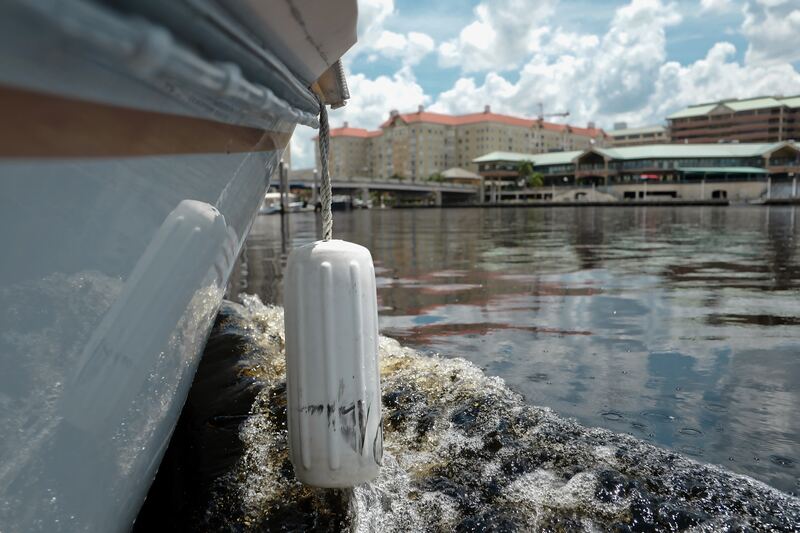 The 2019 DLF Forum will take place at the Tampa Marriott Water Street, in Tampa, Florida, from October 14-16, 2019. We will hold a pre-conference workshop and learning day (Learn@DLF) on October 13, NDSA’s Digital Preservation 2019 on October 16-17, and other affiliated events over the course of the week. As always, we will collect any accessibility and special accommodations requests you may have as part of our registration form and keep you informed as to our progress in fulfilling them. If you have any questions about the venue before registering, feel free to contact us. The venue is fully wheelchair-accessible. When you register, please let us know if there are any mobility assistance needs you may have during the Forum, and we’ll be in contact to help address them as well as we can. If you have any questions, please email us at forum@diglib.org. If you require an ADA compliant or accessible hotel room and plan to stay the Tampa Marriott Water Street, please let the hotel know directly during your room reservation process. All scent diffusers in public spaces at the Tampa Marriott Water Street will be turned off for the duration of our events. Service animals are always permitted at the venue. Please indicate on your registration form if you anticipate bringing a service animal to the conference and we will follow up with more information. Please visit our Information for Attendees page for more information about the venue and the Forum in general. Please note that the Forum hotel usually sells out, and does so early. The base room rate is $199 per room per night during the DLF Forum and affiliated events (before taxes and incidentals). Tampa International Airport (TPA) is about 9 miles and a 20-25-minute drive from the conference hotel. The Tampa Marriott Water Street does not provide a shuttle to this airport. The estimated taxi fee is $25 one way. St. Pete-Clearwater International Airport (PIE) is about 22 miles and a 45-60-minute drive away. The hotel does not provide a shuttle to this airport. The estimated taxi fee is $45 one way. Various private shuttle services from these airports are available in the Tampa area, including Blue One Transportation and SuperShuttle. Alternatively, public transportation from the airport is available via PSTA bus to Marion Transit Center, a mile or 25-minute walk to the hotel. Several HART bus lines also serve the airport. More helpful transportation information, including useful maps, can be found on the Visit Tampa Bay website. Please also note that DLF provides a ride-share/room-share spreadsheet for those who wish to share costs or have space to spare!